Ships tomorrow if you order in the next 19 hours 27 minutes. Are you a big do-it-yourselfer? Do you love to find natural ways to do things yourself? If that's you, then you've got to know about the many amazing uses of beeswax - and Yellow Beeswax Slabs from Starwest Botanicals are the perfect choice. 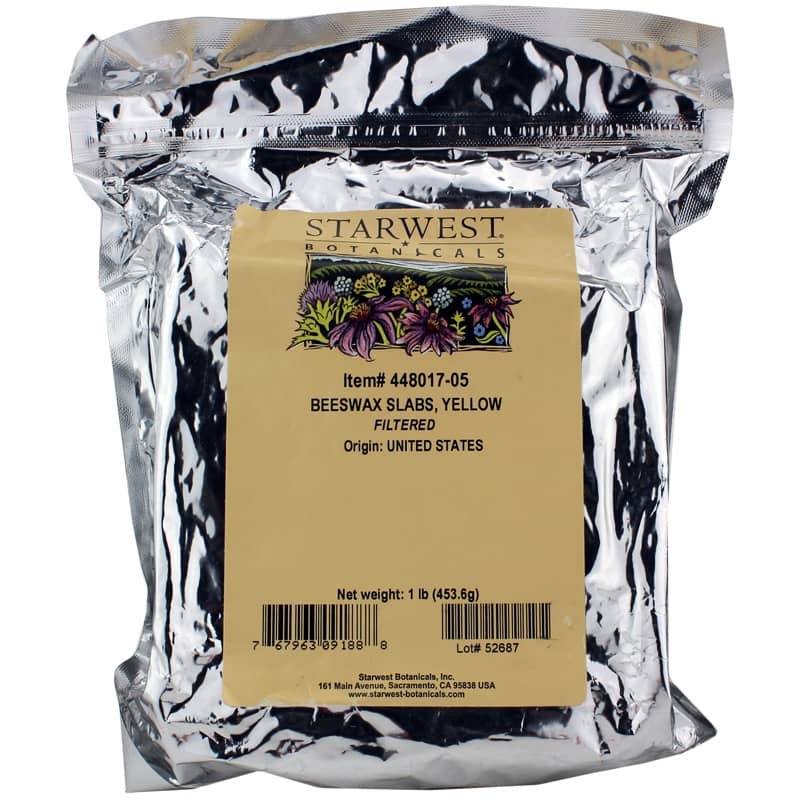 Starwest Botanicals' beeswax is filtered to be free of debris, pollen and honey, and has a mildly sweet aroma for your natural cosmetic needs and more. Beeswax is often used in cosmetics and skincare products as a thickening agent, emulsifier and humectant, and can be used to make soaps, salves and balms, skin creams, candles, lubricants, polishes and more. With natural emollient, soothing and softening properties, beeswax makes an excellent ingredient in skin care routines. It's also a natural source of vitamin A, which supports healthy skin. Yellow Beeswax Slabs are harvested from honeycombs in the United States, are filtered for purity, and are 100-percent natural. You won't find any petroleum-derived ingredients or chemical processing agents here! Bee natural and use the finest ingredients. Order Yellow Beeswax Slabs from Starwest Botanicals.